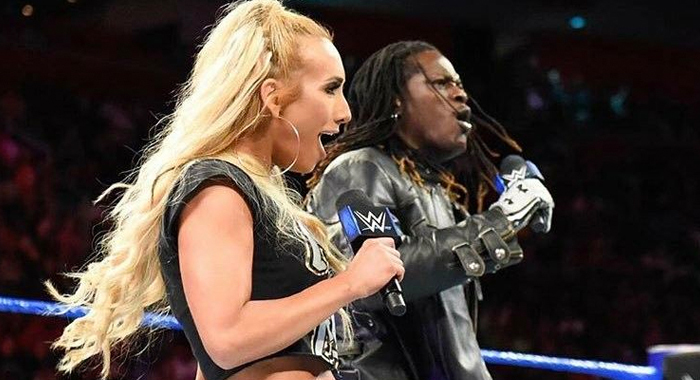 WWE SmackDown Live Superstar R-Truth recently spoke with Lilian Garcia on the Chasing Glory podcast about the Fabulous Truth. Below are some highlights with a H/T to WrestlingInc.com for the transcriptions. “I love Carmella,” Truth said. “It wasn’t her idea [to team up], it was my idea. They just put us together, and it worked out, and it blew up over night. You have to wait for that bone to be thrown at you. Either you are going to eat it up or you’re going to ignore it. When opportunity knocks you have to be ready, and my career, and my character was at the point where the writers didn’t know what to do with it, or what to do with me or where to put me at.